Washington Monthly | Why is ‘High Quality’ So Elusive in Mississippi’s Child Care Centers? 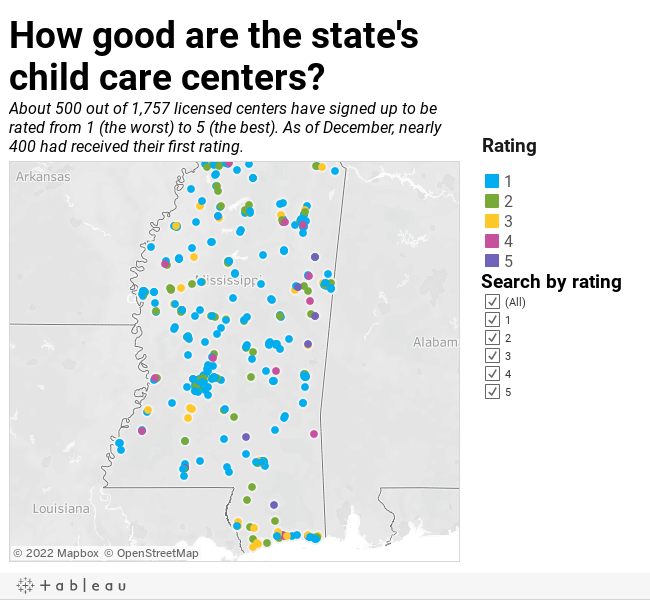 Why is ‘High Quality’ So Elusive in Mississippi’s Child Care Centers? JACKSON, Miss. — After 25 years as a commercial lender for a large bank in Indiana, Glenn Farmer’s future suddenly looked uncertain. His company was going through a restructuring that would phase out his department. Instead of looking for a new finance job, Farmer made an unexpected career move: He took over his parents’ preschool business and revamped it top to bottom. For Farmer, 51, Education Depot is more than a family business. Running the preschool is his calling, a chance to “show kids something better” than the impoverished neighborhoods many call home. Farmer has set high standards of quality for the school he runs and the care it provides, qualities that often remain elusive in Mississippi, even at a time of increased national attention to the value of early childhood education. Pre-schools and child care centers across the state are increasingly expected to prepare children for academic success in school. Yet for many centers, especially those in poor and rural areas, improving quality is nearly impossible without outside assistance or private money. As a result, many Mississippi children languish in substandard child care centers, many of which are unregulated. Most centers statewide receive little to no state or federal funding, except reimbursement for serving healthy meals or enrolling low-income kids. It’s also nearly impossible to get comprehensive information about the quality of the centers. The state does have a voluntary quality rating system, yet fewer than 40 percent of centers in the state have participated. Of those 533 centers, only 421 have been evaluated, and almost 70 percent received the lowest score-one out of a possible five stars. Only 11 centers, just 2.6 percent of those evaluated, received five stars. The state’s Department of Health completes two inspections of licensed child care centers a year. The records of these inspections are placed in paper files — no electronic copies are available — which are then stored at various district offices around the state, making it difficult and costly to review records of all inspections, state-wide. The state quoted a price tag for record retrieval of more than $25,000 to The Hechinger Report, in response to a request for hundreds of documents last year. After The Hechinger Report filed a complaint with the Mississippi Ethics Commission, the Department of Health reduced the cost. 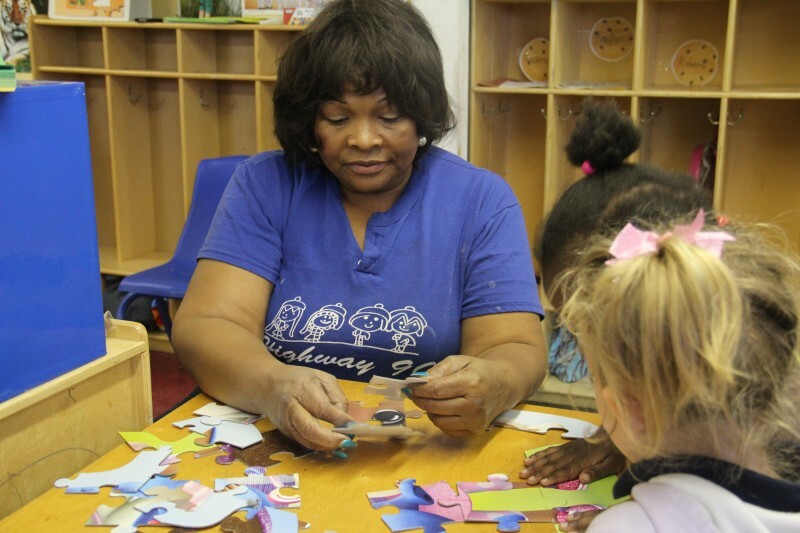 Many child care centers are subpar because ramping up quality is challenging and costly. When Farmer took over Education Depot — the family child care center his parents opened in 1997 for infants through 5-year-olds — he immediately realized how outdated the academics and resources had become. Farmer rolled up his sleeves and got to work. He repainted every room, bought several computers, chose new curricula aligned to the Common Core standards, and purchased a large electronic whiteboard. He encouraged his teachers to get a credential or bachelor’s degree, and offered to front costs to send them back to school. He spent at least $200,000 renovating and improving the nine classrooms in his center, much of it from his own pocket. His goal? A high-quality rating from Mississippi State University’s Early Childhood Institute. Vickie Milton believes her 4-year-old son Vincent is reaping the benefits of Farmer’s hard work. She kept Vincent at Education Depot rather than enroll him in a local private school’s pre-K classroom because he’d already learned many skills the private school wouldn’t cover until kindergarten. Related: Why did Mississippi lose out on preschool funding – again? Such success stories are rare in Mississippi, where, historically, about one-third of children under six are enrolled in family child care centers, compared to the national average of 25 percent. There are about 1,600 licensed child care centers and family daycare homes in Mississippi, according to Child Care Aware, a nonprofit that promotes quality care. There may be thousands of children receiving care at unlicensed child care centers; under Mississippi law, providers can enroll up to five unrelated children without needing a license. Still more children are enrolled in Mississippi’s federally funded Head Start centers, state or private preschool programs, or they stay at home. Many of these child care providers cannot afford improvements. Without widespread high quality early childhood care and education, children are at a disadvantage. In Mississippi, more than 40 percent of kindergarten teachers surveyed in 2013 said their students were not “adequately prepared” for kindergarten: many students were unable to identify colors and shapes or hold a crayon, according toÂ Mississippi Kids Count, which collects state data and statistics. A growing body ofÂ researchÂ has found that high quality pre-K programs can boost reading and math scores, and but also teach children important classroom skills like how toÂ raise their hands and work with peers. After a child care center is licensed by the Department of Health, the center can choose to participate in what is known as the Quality Rating Improvement System, or QRIS — a program adopted statewide in 2009 and administered by the Mississippi State University Early Childhood Institute. The voluntary program provides guidelines that spell out what it takes to earn a “high quality” ranking, such as weekly lesson plans that correspond with early childhood learning guidelines and assessments that track child development and learning. The program also provides annual evaluations of participating centers. When a center improves its quality score, it gets more money back from the state for each child it enrolls who participates in the state’s child care assistance program. The idea is provide caregivers a financial incentive for making improvements. Officials from the Early Childhood Institute said in a statement that child care providers also have access to free training and technical assistance when they participate in the program. 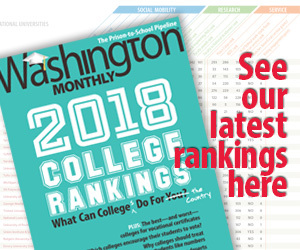 One explanation for the lack of participation in the quality rating system is the cost, said Peter Pizzolongo of the National Association for the Education of Young Children (NAEYC). With each step up in quality on the state’s rating checklist, requirements become more demanding. For example, centers are rated on a lengthy environmental and facility checklist. To improve its rating, a child care center might be required to have chairs available in different sizes, so that all children’s feet touch the floor, specific types of books and toys, at least two types of blocks, materials for “sand and water play” and equipment where kids can practice skills like tumbling, jumping, or pedaling. While advocates say these resources are necessary to ensure kids are taught well, the costs can be exorbitant. To receive one star from the QRIS system, the only requirement is a license. For five stars, a center must meet more than a dozen requirements, like hiring a director who has a bachelor’s degree or higher in an early childhood education field, and holding parent/teacher meetings at least twice a year. At least 25 percent of staff members at a five-star facility must have at least a CDA (Child Development Associate credential), a certificate which can be earned online for about $250 and 120 hours of coursework. In contrast, the state’s minimum requirements for caregivers are very basic: They must be 18 or older and have a high school diploma/GED, or a CDA credential, or three years of documented experience caring for unrelated children under the age of 13. To advance in the rating system, centers must hire more qualified staff members, or require existing staff to earn a credential or pursue an early childhood degree — something too costly for many workers, who earn an average of about $18,000 a year, often with no benefits. While at least nine colleges or universities in the state offer a bachelor’s degree in early childhood education or a related field, tuition can run into several thousand dollars: tuition at several schools costs upwards of $3,000 a semester. Child care centers also struggle with earning enough money to stay solvent. Mississippi’s average annual cost for a 4-year-old in a child care center is $4,800 — one of the lowest in the nation, according to Child Care Aware, a Virginia-based non-profit that promotes quality care. In recent years, Mississippi has cut the funding available for child care assistance due to budget cuts at the state and federal levels. In 2013, more than 7,000 children were on the state’s waiting list for child care assistance, according to the National Women’s Law Center. The waiting list no longer exists: the state stopped keeping it due to a lack of funds. Many centers in Mississippi have already shut down due to a lack of funds. In the Delta town of Isola, Lucille Cobbins had to close Tootie’s Kids in July 2013, after seven years of operation. In all the time she ran the center, Cobbins said, parents were repeatedly unable to get the federally funded, state-administered payment certificates (also known as vouchers) from the state. They made too much money to qualify for help, but not enough to afford child care on their own. Without the vouchers, many parents couldn’t afford tuition, which ranged from $50 to $80 a week, depending on the age of the child. Although some parents pulled their children out of the center when they couldn’t pay, Cobbins said a few kept bringing them anyway — even when they owed her upwards of $600 dollars. Cobbins didn’t have the heart to turn kids away. After Cobbins’ revenue dropped from $2,000 a month to less than $600, she could no longer afford to pay the mortgage or utilities. She shut the doors to Tootie’s Kids in July 2013 and now works as a substitute teacher in a nearby school district. Cobbins’ dilemma has become familiar to child care center owners in the state. Fees collected from parents make up the largest source of revenues, but centers in Mississippi — where salaries are lower than the national average and children come largely from low-income families — find themselves unable to increase tuition because parents can’t pay. And while the state has the lowest child care costs in the nation, it also has the lowest median income. A single mother in Mississippi will spend 30 percent of her income on child care for an infant, according to Child Care Aware. In 2012, the non-profit ranked Mississippi 49th in affordability of child care for a low-income single mother. Officials from the Early Childhood Institute said in a statement that child care centers “do not have to invest a great deal of money to move from a 1-to a 2-star” and that “no purchased classroom materials are required to move from a 1-star to a 2-star rating.” The statement said that child care workers can borrow or create classroom materials at 16 offices across the state. Some centers, however, have found it hard to improve without spending money. 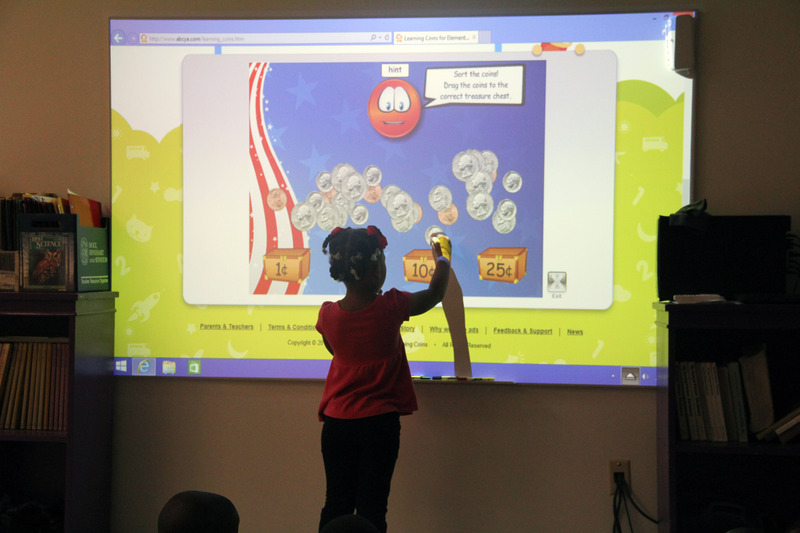 A report released by MLICCI found costs to improve ratings from one star to two can run more than $11,500 per classroom. Of the 16 centers assisted by MLICCI, 13 improved at least one star in quality, with five centers moving up to a three-star rating. Carol Burnett, MLICCI’s executive director, said the majority of expenses go toward repairing physical spaces, from purchasing shelving and furniture to fixing fences and lighting fixtures, along with buying toys and materials. MLICCI also provided training to caregivers at the 16 centers, including classes on early childhood development and curriculum. At Highway 90 Daycare in Pascagoula, owner Sherrie Jones said the non-profit helped her make improvements to the center that are allowing her to better prepare her students for kindergarten. The MLICCI provided training for teachers, painted walls, and brought in new equipment and toys, like sets of blocks and dolls that reflect different ethnicities. On a recent morning, the new teaching strategy was evident. Five youngsters in one of Jones’ classrooms calmly played in different areas of the brightly decorated room. One boy in the “dramatic play” corner of the room used a small green broom to sweep bits of straw and paper off the floor into a plastic green dustpan. Another sat a few feet away, building an airplane with blocks. In the center, Jones helped two young girls put a puzzle together. On its last evaluation, Jones’ center received three out of five stars.